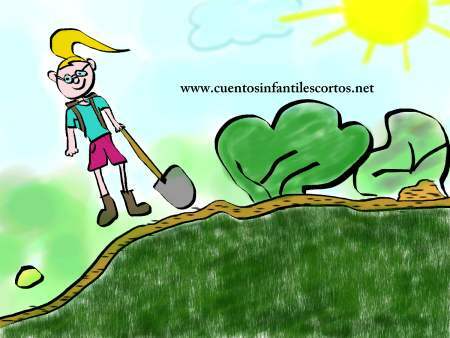 This is the story of Ciara, a happy girl who lived with her parents and her brother and sister in their country house. She was a playful and lively girl, always playing and singing. But she didn´t want to share her parents with anybody, and that made things difficult, because she had a brother and a sister, lots of cousins, grandparents and neighbours… and they also had a turtle as a pet. She became so jealous of her brother and sister, that she would attract her parents attention, by showing them how sad she felt. However, nobody knew what was going on. One day, Ciara went alone into the forest to see the animals. She was very sad, because her mother had made a cake for her sister´s birthday, and Ciara remembered that on her birthday her mother had bought the cake because she hadn’t had time to cook it. She failed to notice that it was getting dark and then it started to rain. Ciara didn´t know the way back home, and ran to hide under a tree and began to cry. – “Oh my God, Ciara! Where were you? We were very worried” – said her mother. Ciara never told her family the real reason why she had gone into the forest alone on that day, because she realised that she shouldn´t be selfish and that her brother and sister also loved her a lot and it was better for her to have the love of all her family, not only of her parents. From that day on, Ciara rediscovered her happiness.